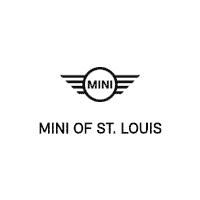 Welcome to MINI of St. Louis in Saint Louis, MO. We like to think of our customers as part of our growing family. We’re always here to help with advice and expert MINI service and maintenance. We’re MINI lovers too, and we know that a car like no other deserves a greater Saint Louis MINI Cooper dealer like no other. Please contact us with any questions you have. We are happy to help! We build customer loyalty by greeting you promptly and listening to you when you tell us what you’re looking for. It’s our job to help you find the new MINI Cooper or used car that best fits your needs. Come in to our dealership today and let us know what you are looking for. Serving Saint Louis used car and certified pre-owned customers. We are located at 40 Sunnen Dr.,, Saint Louis, MO, 63143. See our hours and directions when you plan your visit. It’s not just about selection, although you’ll always find dozens of new MINI and used MINI models in stock at our Saint Louis area MINI dealer, including the MINI Cooper Countryman, MINI Cooper Hardtop, and MINI Cooper Convertible. Don’t forget to check out the MINI Cooper Coupe and MINI Cooper Clubman. It’s all about customer service! You will find some of the most knowledgeable and passionate MINI enthusiasts waiting to help you. While you’re here, be sure to check out our MINI Cooper financing options. MINI financial services make it easy for anyone with a passion for MINI motoring to get behind the wheel of their favorite model. On this page, you can learn about our MINI purchase programs and MINI lease programs as well as estimate what your payments will be. Check back often, as the MINI Cooper special offers will change! We also have MINI accessories for you and your car. Treat yourself to some MINI gear that you are sure to love. Don’t forget that if your MINI is in need of service you can make an appointment online to stop by our MINI Service Center in Saint Louis. Our expert technicians will take great care of your car and have you back on the road in no time.